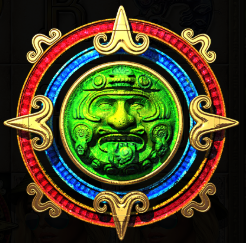 A journey into the ruins of the Aztec Empire is the theme of this online slot machine from Fuga Gaming Technology; follow our intrepid hero as she navigates her trusty Landrover through several profitable bonus features to reach the ruins of the city of Tex Co Co.
Tex Co Co is a five reel slot with three rows and forty fixed paylines; ruins and statues surround those reels which are framed by a stone border inlaid with Aztec inscriptions. There are six theme-related symbols including the girl, her Landrover, a decorated tortoise and three stylised animals – the fish, the bird and the serpent; J, Q, K and A are the lower values. 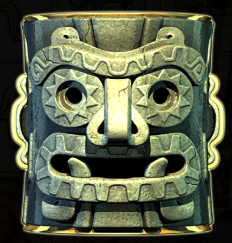 There are no wild symbols in the base game but the special symbols include the artefact, the golden symbols and the totem masks. The artefact appears only on reel three and it’s able to swap positions with a neighbouring symbol if doing so will improve the win amount. This is triggered by landing three of the golden bonus symbols anywhere on reels two, three and four and you’ll get to play a picking game in which your aim is to find a matching pair of stones to determine the prize – finding the Golden Treasure wins the Super Prize. Green Totems – transform into matching symbols (but not the girl) on each spin. Purple Totems – totems become wild with a win multiplier increasing by 1x on each spin. Substitute for all except the girl. Orange Totems – the totems become stacked wilds throughout the spins. In each case the totems (and any new ones) only stay on the reels until they are part of a winning combo – when there are no more left the spins end. 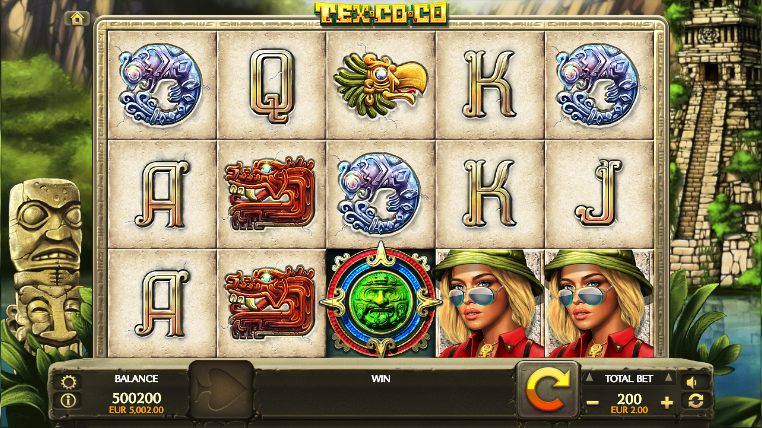 Tex Co Co is a great-looking slot with some intricate graphics and an engaging soundtrack – there are enough features to keep things interesting and some big wins available, especially in the Totem Respins.